Abstract: Under specific consideration of the theoretical approaches and practical research influences of “interdisciplinarity” in neuroscientific research, this presentation (as the “Nickerson Fellowship Talk”) addresses a time period and a subject of investigation that has only marginally been dealt with in the history of medicine and neurosciences: the influences and the context of the creation of early centres of neuroscientific research at the beginning of the 20th century. Breaking with the disciplinary set-up of “brain research” in the 19th century, prominent medical researchers such as Heinrich Obersteiner (Vienna), Otfrid Foerster (Breslau), Ludwig Edinger (Frankfurt), Emil Kraepelin (Munich), and Oskar Vogt (Berlin) helped to foster new trends in group-oriented neuroscientific activity. These approaches later served as major templates for such influential North American brain researchers as Wilder Penfield (Montreal), Harvey Cushing (Boston), and Francis O. Schmitt (St. Louis) and strongly reshaped the manner in which research investigations in the biomedical life sciences took place in the 20th century. Yet so far, we do not have a sufficient historical understanding nor a philosophical explanation of what triggered these developments in the first place and how theoretical, methodological, and pragmatic factors played together in creating these new and fascinating forms of research organization. This presentation – by particularly focusing on Foerster’s Neurological Institute in Breslau and Penfield’s research visits in the 1920s and 1930s – intends to give some tentative answers as to the place, time, and culture in which these scientific and philosophical changes began to transform early neuroscientific research in Europe and North America. Frank W. Stahnisch is an Associate Professor at the University of Calgary in Alberta, Canada. Since 2008, he holds the AMF/Hannah Professorship in the History of Medicine and Health Care at the UofC, and is cross-appointed in the Department of History (Faculty of Arts) and the Department of Community Health Sciences (Faculty of Medicine). He is also a full academic member of the Hotchkiss Brain Institute, the Institute for Public Health, as well as academic coordinator (History) of the Calgary History and Philosophy of Science undergraduate and graduate programs. 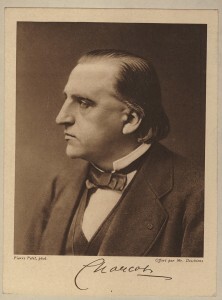 Prior to joining the University of Calgary, he has held teaching positions at the Humboldt University of Berlin; the University of Erlangen-Nuernberg, and Johannes Gutenberg University of Mainz (Germany), and has also been a Visiting Professor at McGill University (Montréal), in Canada, the Max Planck Institute for the History of Science (Berlin) and the University of Heidelberg, in Germany. 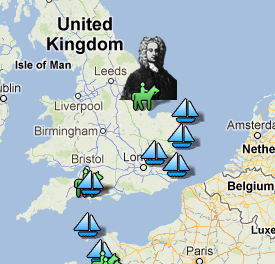 Medical History of British India is a fascinating digital collection from the National Library of Scotland. The materials digitized for this collection consist mostly of documents from the India Papers Collection. The India Papers Collection is made up of central British Imperial and British Indian government publications from the mid-19th century until the first decades of the 20th century. The Medical History of British India project has digitized and made available online the many volumes of reports relating to public health, disease, and medical research. It even includes 146 volumes (40,000 pages!) on veterinary medicine. The online collection is divided into 6 primary subject areas: disease, institutions, drugs, veterinary, mental health, and vaccination. You can browse by these sub-collections, or browse by other criteria such as form and genre (includes images, maps, and texts), place, subject, person and organization, and time period. 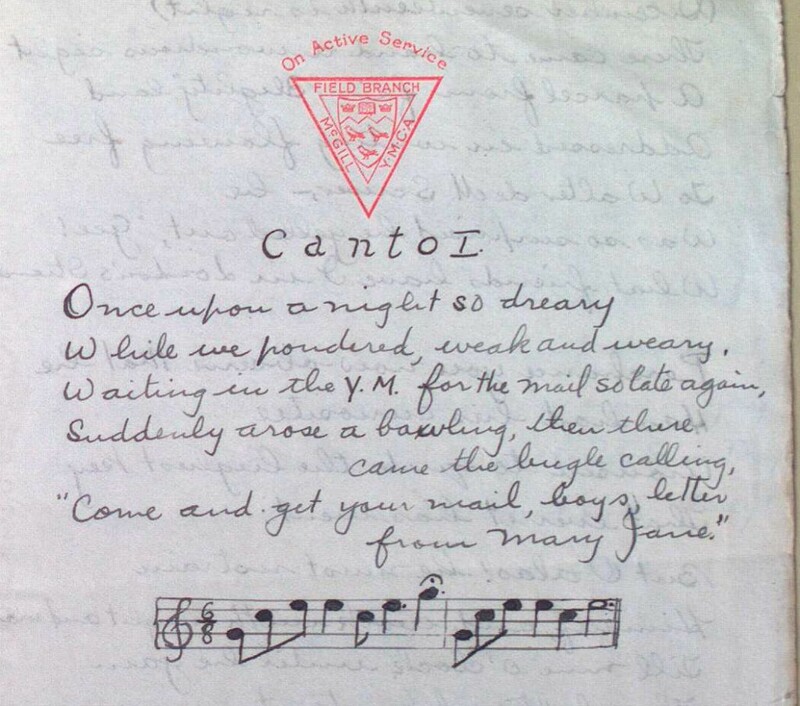 All of the digitized volumes are also fully text searchable, a great research benefit. Another interesting feature is that you can download up to 30 images to create a custom PDF, which brings together only the pages you need. The About the collection page gives a great introduction to all of the major subjects covered—click on the link to Institutions and you will get lots of good background information about the organization of medical research, hospitals, and healthcare services in British India. Two upcoming talks organized by the Osler Library to put on your calendar now! 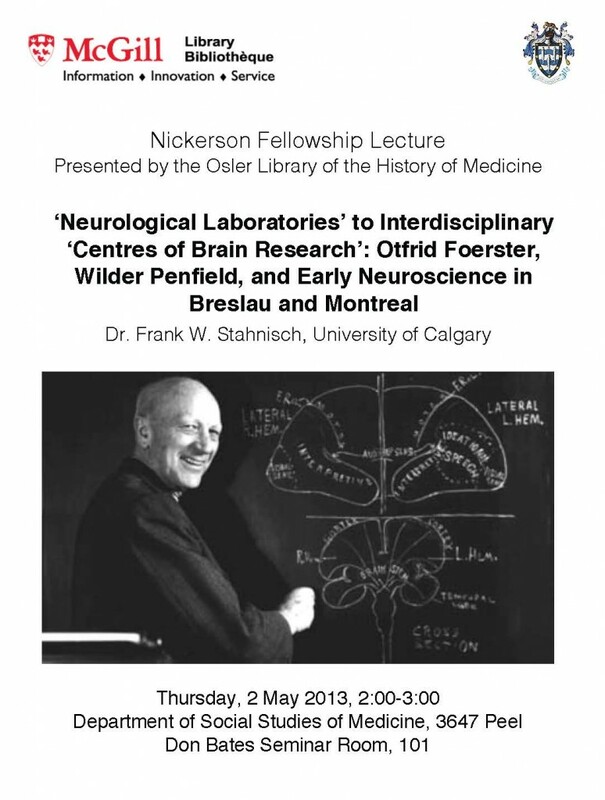 First, on Thursday afternoon, May 2nd, Dr. Frank Stahnisch, Nickerson Fellow in Neuro History, will present a talk on “’Neurological Laboratories’ to Interdisciplinary ‘Centres of Brain Research’: Otfrid Foerster, Wilder Penfield, and Early Neuroscience in Breslau and Montreal. 2-3pm in the Department of Social Studies of Medicine, Don Bates Seminar Room 101. Then on Tuesday, May 7th, Prof. Annmarie Adams, curator of our current exhibit entitled “Designing Doctors” will give a talk. 1-2 pm, Meakins Auditorium (McIntyre Medical Building, 5th floor).